ASC’s Second Saturday Family FunDay program offers monthly hands-on arts and science activities in which visitors create art, complete science projects, or perform dance, music, or theater. Activities complement current art or science exhibitions. 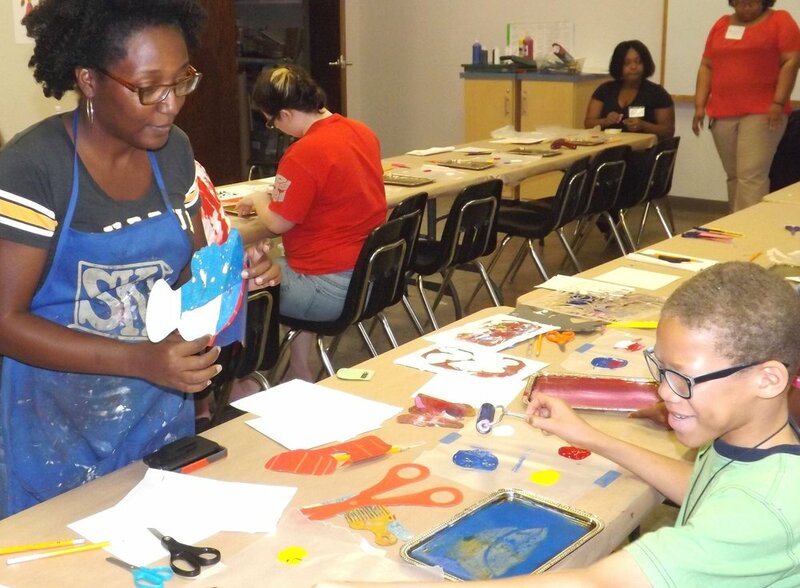 Activities are free and led by visiting artists, local art educators, and ASC staff. for a fun activity based on art, science, or both! Free! Everyone is invited to join the creativity! SECOND SATURDAY FAMILY FUNDAY: Recycle. Create. Enjoy. Sponsored by The Pine Bluff Area Community Foundation, an affiliate office of the Arkansas Community Foundation, Inc.